Escape the Crate brings the experience of escape rooms to your home! Every other month, they deliver a new adventure – anything from pirate ships, deciphering alien languages, murder mysteries, time travel, defusing bombs, and more. Escape Rooms have become such a quickly growing sensation in the last couple of years. As cool as they are, they can get pricey and once you do one you can’t repeat it. My husband and I have seen a couple in-your-home escape room games in date boxes before, but this box is all one big escape room experience. This is a review of the Escape The Crate “Escape the Silver Screen” box. COUPON: Use code LOCKPICK to save 10% off your first box! The Products: Each box contains the puzzle pieces that go with a whole escape room story, designed for 2-4 people. Inside, you’ll find letter, ciphers, puzzles, tools, objects, etc. that help you complete the mission. This is the starting information sheet. It tells you how to get all set up and where to go on your computer or phone to begin. Inside we found all sorts of envelopes, papers, puzzles, props, and items to use for various puzzles and activities in our adventure! One thing that I thought was cool was that even the box was key in more than a couple different puzzles! There are pictures and information needed for the puzzles on every surface inside and out. The story of the adventure is provided primarily through their web page for each mission/box. I liked this feature because it made it easy to follow along with what we were discovering or decoding and figuring out what we had to do next without fumbling through papers or trying to find which one to use in which part or accidentally seeing something from a future puzzle solution. You still have to figure out what envelopes and materials you need next since they don’t say “use this sheet to find the answer you need” or anything like that. What they do tell you is your upcoming objectives to complete the mission, and each one tells you it’s “locked with 4 numbers” or “locked with a name” or “locked with 3 letters,” etc, so when you do find your code you can figure out what part you’re going to next is based on what you find. One of my favorite parts of the escape game was that they had all exposition typed up but also recorded for listening! I liked this so much because we could mentally pause between puzzles to sit and listen to the next section instead of having to read it and it also added personality to the game. Each web page offered the next possible steps. They also offer hints at the bottom of the page. These hints don’t have any time penalty, but they obviously still want you to use them sparingly. Our escape game adventure this month was set in 1940s Hollywood. As time travelers, our job was to sabotage the making of a movie revealing time travelers and our secrets. The first mission was to watch the trailer for the movie and find a code within it. I thought it was cool they made an actual video! It was just slides but it was a new kind of media to add to the game. Last time, our mission had an option to split the party and each do our own set of puzzles (two different subplots to the story of the game), or we could work together and do one set at a time. This month didn’t have that option, and we just worked through step by step together. The goal was to sabotage the premiere of the movie trailer, as well as other acts of sabotage like breaking the cameras, cutting film strips, shutting off power to the studio, and convincing the lead actress to quit the film production. I thought the idea of sabotage was a cool concept, but I have to say that I didn’t love the story/plot as much as the Outlaw box we did last time. There was a story, but it felt static. Nothing developed, we didn’t interact with characters like the last box. (In the “Outlaw” box we had to convince prisoners to give us information, and the barkeep wouldn’t talk to you to tell you the bad guys’ hangout unless you got the name of a friend of his they had killed, and we looked for information in a schoolhouse where a little boy ran up to us and slipped us a note, etc.) I know these things are all small differences in the ways information is given out but it made it feel more like we were actually moving around the town and unfolding a plot. Whereas in this box, we were sneaking around alone with no one around and finding papers and notes and such, which is a cool idea but it didn’t feel quite as compelling to us. That’s probably in part a lot to do with our own preferences and is pretty subjective, though! I’m happy with the puzzles included in these boxes – they’re original and creative and it’s not the same puzzle over and over throughout the box. They’re also challenging! The little prop clapper was actually used to determine some angles in one of the puzzles! They also include a black light in your first box for use in a puzzle or two. I really appreciate the effort and quality of the materials – the envelopes themselves often contain needed information, there are little cards when you run into people like an actress or a security guard that you need to get the right word or code to get past, there were cardstock film strips to put in order, premiere tickets, etc. There are a lot of materials, especially in this box, I felt. FYI – You set your own timer; they suggest 60 minutes for “expert/experienced,” 75 minutes for regular/casual, and 90 minutes for easy/new. This box was really intense/involved. It felt like there were so many more puzzles and layers of puzzles and it was a little mind-boggling by the end of it. It seemed like every time we cracked the code to get into one room (envelope) there were 2-3 other envelopes/tasks to complete within, and there were a lot of places/envelopes to break into! In our last box, which was our first one from Escape the Crate (and therefore we had the slight learning curve of figuring out the format/how it all works together), we chose the 75 minutes for the Regular/Casual level, and still needed about 10 extra minutes. This time around we also chose the 75 minutes, and we already knew the format and such and we were rocking the puzzles in the beginning! But it took us more like 110 minutes. It felt like we were flying through puzzle after puzzle, and they were challenging but once we figured out what we had to look for or what we needed to do we could complete them well, which was fun. There was just a lot to do. They have a “time’s up?” button on each page if you run out of time, but since the website didn’t track the time for us we chose to just continue to finish and see how long it actually took us for the sake of the review. If you click the “time’s up?” button it just takes you to a scenario that emphasizes the time pressure and they offer you 5 extra minutes, and if you run out of time again it just tells you you’ve failed the mission. You can freely navigate between the pages of the escape game so you’re not locked into having failed – you can choose to ignore the timer and go back to keep playing. Somehow this box took us almost two hours to complete. There was also one big puzzle near the end to kill the power to the studio, and that felt like it was poorly explained and there were so many layers to just this one puzzle. It was hard for more than one person to keep track of how it all worked and Luke kind of ended up just doing it on his own. It was something like you had to correlate the pattern of 4 different sets of circuit breakers to numbers from their pattern, and then had to match that to their colors, and then write in the numbers on colored dots in a diagram to represent how many hubs or wires have to be connected to each hub, but the wires can only be drawn in certain ways, etc etc. Even when I went into the hints to read them to Luke to help it made zero sense to me while explaining and he was lost, too. Luke really hates to give up on puzzles and loves figuring them out but after a very long time on this one, we just went to the solution to get past it and get back to having fun and finish the mission. I think maybe they could have simplified it so there was less to keep track of at one time, and perhaps explain it a little better? Or maybe that kind of puzzle was just not translated well in a box with paper and pencil and would have been easier in a physical representation. We were also almost 2 hours in of constant puzzle after puzzle, and it was past 9:30 PM, and it just felt like a lot all at once. There were one or two more puzzles after that and honestly, our brains were fried. We finished up the last of the puzzles, admittedly with many hints, and wrapped up. The Verdict: We had fun with this month’s Escape The Crate! It just felt like there may have been too much to it. We do puzzles and things like this a lot and for it to take us almost 2 hours was just intense (90 minutes was the longest they suggest as a formal time limit for easy/new difficulty level, though they say you can play without a timer as long as you still are having fun). We felt like we were flying through the puzzles, too, but they kept coming and eventually, we hit the power supply puzzle and spent a lot of time on it and felt a little frustrated. That all being said, I thought the puzzles and clues were very cool and interactive and I like how they involved a lot of different concepts and items they sent and the box itself for multiple clues. One last thing I was a little bummed about was that they had you get a pair of scissors out as part of your needed materials – I was really excited about having a puzzle where we’d need to cut up, like, film strips or something and maybe rearrange to figure out the clues. However when we got to the puzzle that “required” the scissors (the power supply puzzle), they opened with “don’t actually cut this paper, so put your scissors down.” and I was like, “why did they bother to put them on the materials list at all then?” A very minor gripe, I admit, but it felt like hype for a style of puzzle that didn’t actually happen. All in all, it was a fun time and I’d be excited to try the next one, especially because the story sounds more interesting. They reveal where you’re going in the next box at the end of the completed mission, which is a fun way to do it and tie it all together. I know there are some super cool real escape rooms out there with elaborate rooms and sets, so I don’t think this subscription would replace those completely, but if you like puzzles and escape games and wish you could do them more frequently without the price (or also having to arrange and pay for a sitter, if you’re a parent of young kids), this is a fun way to get a similar experience! I really appreciate the presentation quality and all the effort they do put into their mission designs. Can you still get this box if you sign-up today? Yes, this particular box is available as a standalone purchase, no longer as part of their bi-monthly subscription. You can purchase it as a one-time order here. Order between now and the end of December and your first box ships out the first week of January. Value Breakdown: This box is the latest of their subscription, $29.99/bi-monthly, but this specific mission is now “retired” and available as a one-time, individual purchase of $39.99 from their shop. Looking at prices for in-person Escape Rooms near me, it looks like the cost in my area ranges from $24-30 per person. As a subscription, getting an escape room experience for the cost of just one ticket to a local one seems worth it as an alternative for a regular basis (especially for us with small children considering we’d have to also pay for a babysitter). Check out all of our Escape The Crate reviews and more puzzle subscription boxes in the Geeky Subscription Box List! What do you think of the Escape The Crate “Escape the Silver Screen” box? Hi, do you have any information on how to get in contact with the company? This box looks like so much fun! Great review!! My husband is home from Christmas Eve through the day after New Year’s. Usually, we are bored to tears after a few days, especially when there’s awful weather outdoors. I think the game will be a lot of fun, even if we split it up into half hour blocks. I *think* that one should be the Titanic one they teased at the end of my mission in this review! https://escape-the-crate.com/titanic/ It sounds good! Awesome review, Haley! I loved how much detail you included. I was wondering, do you think this box would work for a large group. Could you set up a party, I’m actually envisioning doing this as an adult library program, and have each room have one of the envelopes? Have a laptop in each room? Can multiple people log in to the same account at the same time? Or I guess one could replicate the online clues/conversations with characters and use the physical materials given as well. Do you think there is a way to translate this game for 20 players in five groups of four? Thanks for the detailed review. I was dubious that the escape room experience could be replicated in a box and still be fun. Your reviews, of the two boxes, make it seem interesting and worthwhile. Thank you! What a GREAT idea for a library program!! I don’t think it’d work to have five different groups working on separate parts? I mean maybe, but I think they’d miss out on a lot of the big picture. And you don’t have to log into the website for the missions, you just enter a password they give you on the welcome sheet, and then you figure out the next password as a sort of practice to see how the interface works, and then from then on you have to figure out the passwords and codes for all of the next pages. So, you also couldn’t have separate groups working on separate parts unless you already had the passwords to get them to the later parts they’d be solving. (which, if you personally did the box ahead of time, you could.) 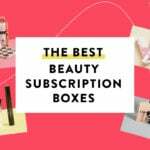 I know their subscription box is meant to be done alone or with a few friends, but 20 may be a lot. However, I just looked up on their site and they actually have a page for collaborating for large groups and schools and such! https://escape-the-crate.com/large-groups/ Hope this helps!